The news was announced via his official Twitter account by his longtime manager. R. Lee Ermey, a Golden Globe-nominated actor best known for his role as Gunnery Sgt. Hartman in Stanley Kubrick’s Full Metal Jacket, has died. Ermey, whose nickname was “The Gunny,” died Sunday morning from complications of pneumonia. He was 74. On Ermey’s Facebook page, Rogin added more thoughts about the actor and his longtime client. 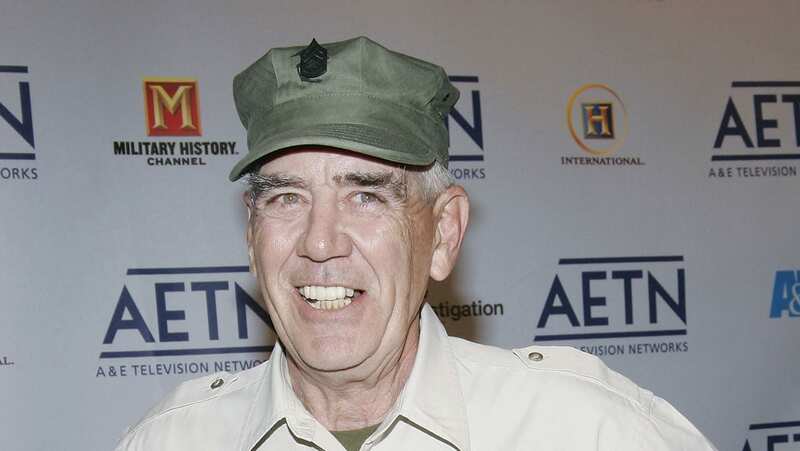 Ermey not only played a member of the military in the movies, but he also was one in real life, having been a U.S. Marine Corps staff sergeant and an honorary gunnery sergeant. He also served as a drill instructor for the Marines. Ermey also served 14 months in Vietnam and completed two tours in Okinawa, Japan. Both March 24, 1944, in Emporia, Kansas, Ermey’s family moved to Toppenish, Washington, when he was 14. There, he became a “troublemaker and a bit of a hell-raiser,” he told the Civilian Marksmanship Program’s online magazine in September 2010, and he found himself in court multiple times. After retiring from the military with 11 years of service under his belt, Ermey took some acting classes and was cast in one of his first roles, playing a helicopter pilot in 1979’s Apocalypse Now, and also serving as a technical adviser to director Francis Ford Coppola on the film. Another role he landed around that same time also hit close to home, playing a Marine drill instructor in Sidney Furie’s The Boys in Company C.
The story goes that Ermey was originally hired to advise and train the actor who would play the role, but Kubrick was so impressed by what he saw, he offered Ermey the role. He played a similar character in The Frighteners, which was directed by Peter Jackson and starred Michael J. Fox. But he has said he’s not really like those characters. “I’m basically a nice person,” he told the Spokesman Review in 2010. Other films credits include Mississippi Burning, Prefontaine, the remake of The Texas Chainsaw Massacre, Fletch Lives andSe7en. He also had a healthy voiceover career, playing the lead of the green plastic Army solders in the Toy Story films along with a role in SpongeBob SquarePants, among others, and voice roles in multiple video games. Ermey got a chance to showcase his comedy chops in 2001’s Saving Silverman, in which he starred alongside Jason Biggs, Steve Zahn, Jack Black and Amanda Peet. More recently, Ermey hosted Outdoor Channel’s GunnyTime With R. Lee Ermey. Watch Ermey in the opening scene of Full Metal Jacket below (warning: language is NSFW).